Chechen residents complain of weak search of missing people to human rights advocates | Russian Legal Information Agency (RAPSI). 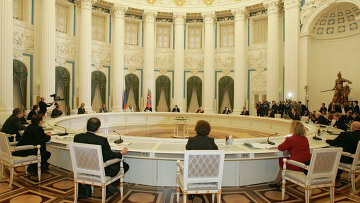 MOSCOW, March 18 (RAPSI) – Residents of Russia’s Republic of Chechnya have complained about ineffective search of their missing relatives by the federal and republican authorities during a meeting with the member of the Presidential Council for Human Rights Alexander Mukomolov, the advisory body’s press service reports Monday. The complainants believe that it’s hard to carry out such extensive works on time by efforts of a peace-support mission. The question is 5,000 persons missing between 1995 and 2010, the statement reads. Currently, the peace-support mission’s database n.a. General Lebed includes headed by Mukomolov includes 4,300 resumes and 1,200 DNA Tests of relatives. By today, the fates of 85,000 missing people have been ascertained, according to the human rights watchdog. As a result of the meeting, it was resolved along with the Search Committee in Chechnya that a joint letter will be sent to the authorities of the republic and the state proposing to create a special group on handling of exhumation works in the region. 14:22 18/03/2019 Residents of Russia’s Republic of Chechnya have complained about ineffective search of their missing relatives by the federal and republican authorities during a meeting with the member of the Presidential Council for Human Rights Alexander Mukomolov.